There’s evidence of that maxim in Isabella Alden’s books. In several of her stories a simple calling card played a prominent role in the life of one of her characters. 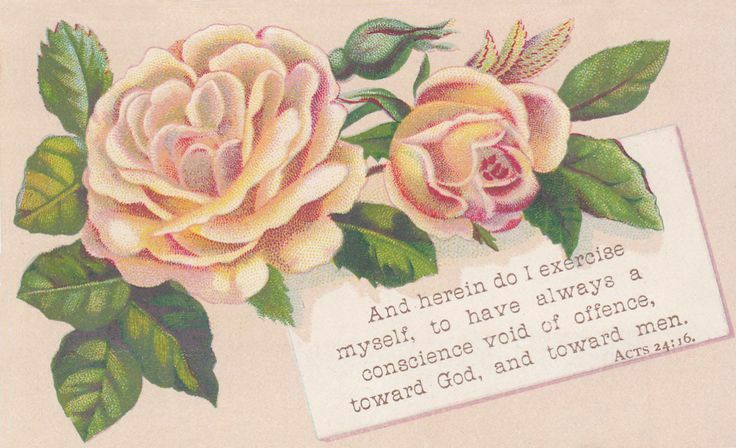 Each time she gave away one of her cards, she did so with a purpose, and knew exactly how she wanted to engage that person in conversation about the straight-forward question printed on the card. 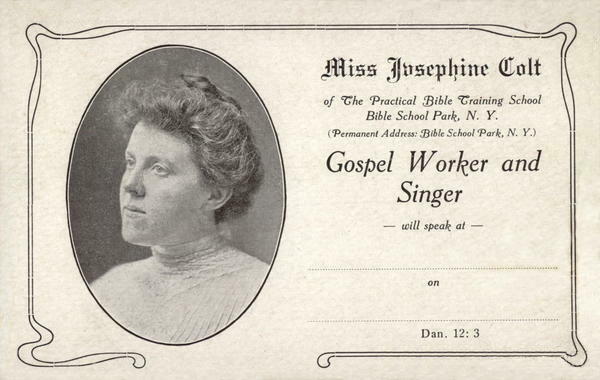 A card used to announce dates and times of a Gospel worker’s upcoming speaking engagements. 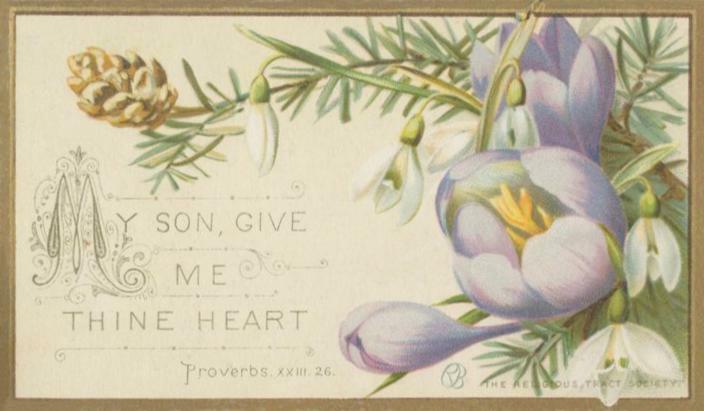 In Workers Together; An Endless Chain, Dr. Everett’s calling card was printed on both sides. The front of the card gave the address and hours for his medical practice. On the other side he listed the times for Sunday worship services, Sunday School classes and weekly prayer meetings at the church where he was superintendent of the Sunday School. 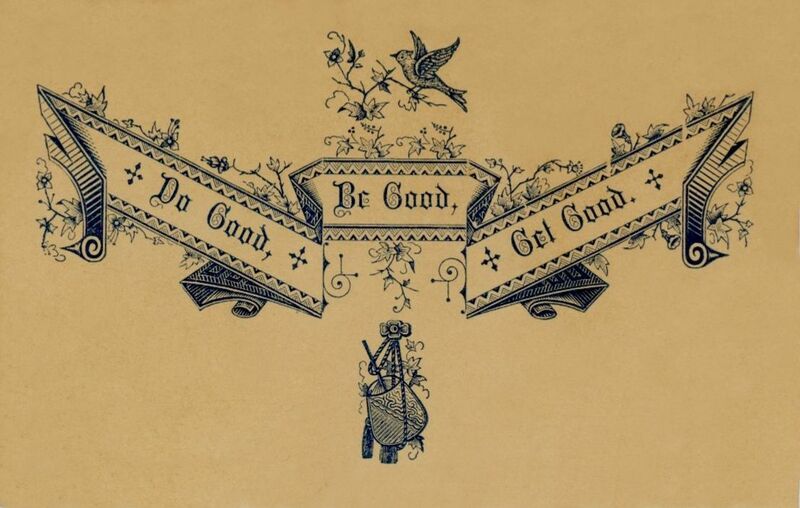 In A New Graft on the Family Tree, John Morgan received a calling card that changed his life. He was hungry and homeless, hopping one rail car after another to find anyone who would feed him in exchange for doing some work. The little old lady trotted back, a plate of doughnuts in one hand, and a little card in the other. The faintest suspicion of a smile gleamed in John Morgan’s eyes as he nodded assent. John waited until he left the woman’s house and was tramping down the street before he looked at the card she gave him. John thrust the card into his pocket and strode towards the village depot to board another train, unaware that the little card would eventually change his life. 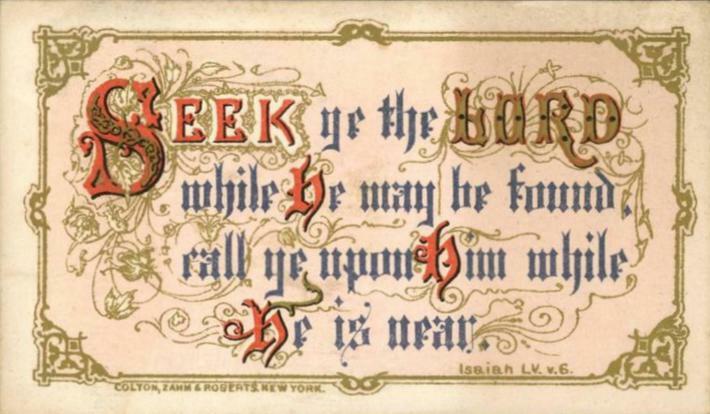 You can still find examples of religious calling cards on ebay, Etsy and other Internet sites. 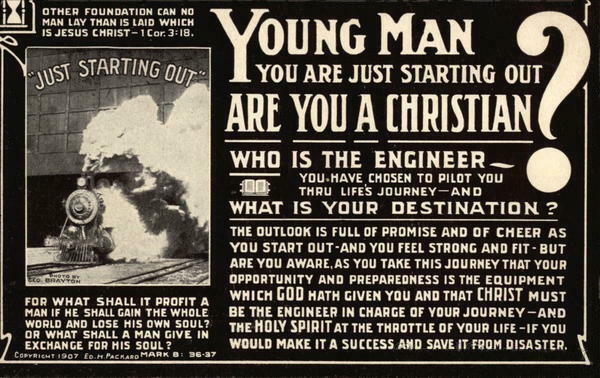 But Isabella’s books demonstrated that religious calling cards by themselves were not enough to change a person’s life. 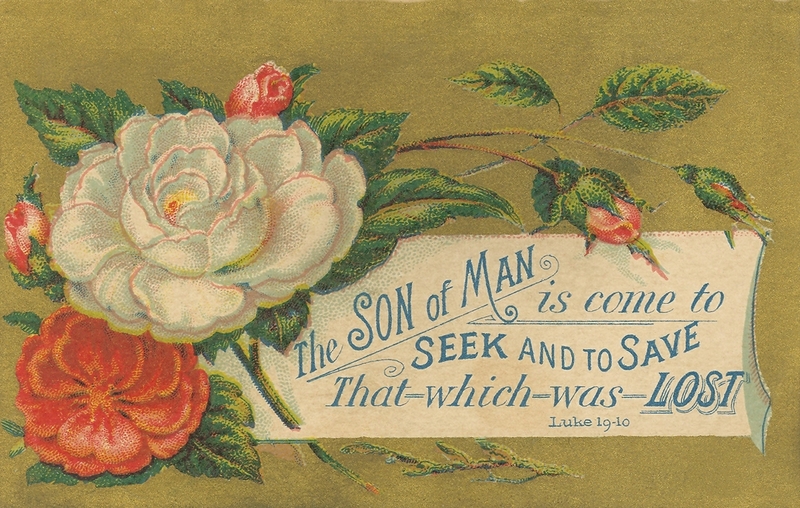 In her stories, a calling card may have opened the door to a conversation about salvation, but it was the act of the person who gave the card—their kindness and concern for someone else—that turned those small pieces of cardstock into the means by which a soul was saved. You can read more about the vagabond life John Morgan would have lead. 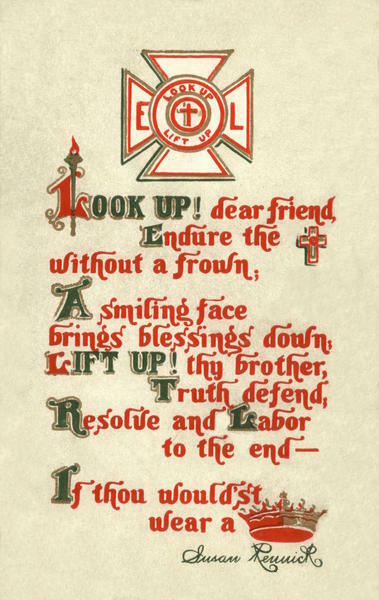 Click here to read our previous post, The Fraternity of the Tramp. Click on a book cover to read more about Isabella’s books mentioned in this post.